Tucked behind Wynyard station, Nook Urban Fresh Bar injects a pop of colour into an otherwise quite sterile stretch of the CBD. 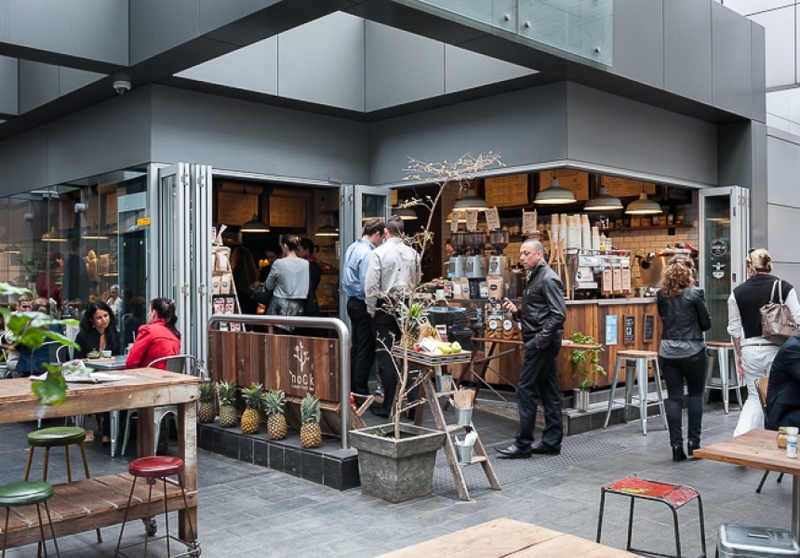 With fresh produce and planter boxes spilling on to the street, it's easy to see why Nook is one of the busiest cafes in the city. So busy, they expanded to a second location on Hunter Street. For a bustling CBD cafe, there's nothing worse than having to ignore a line of customers to ring your suppliers and order more stock. Or worse, when they call you to chase orders at the worst possible time. For Manager Kate, Ordermentum has transformed her day. Instead of the stress of being on a phone call she can barely hear in the middle of service, Kate gets a text on her phone just before 3pm, clicks the link to confirm (or quickly adjust) her daily orders and can carry on managing the cafe. "Ordering with Ordermentum is super easy. I get text reminders after service, it's great that all my suppliers are in one place, and I can do it really easily in a couple of seconds."